We have had the pleasure to taste the amazing meals offered by both Keto Fridge and Beetnik Foods and we completely understand if you are having a hard time deciding between the two. In this Keto Fridge VS Beetnik Foods comparison, we highlight all the strong and weak points of these two popular services in order to help you find out which one better suits your individual needs and which one is objectively superior to the other. 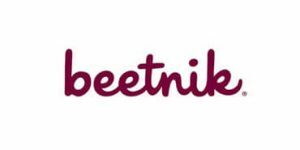 Beetnik Foods allows you to easily make healthy food choices and enjoy organic meals, meats, and sauces available at rather affordable prices. With Beetnik Foods, you can choose from single meals, meat products, pasta sauces, value packs, and variety packs. In its offer, Beetnik Foods features 15+ single meals, 1 meat product, 2 pasta sauces, 10 meal packs with 8 meals each, and 2 variety packs, one with 11 meals and the other with 8 meals. Beetnik Foods offers a range of meals suitable for people with different dietary needs. It offers frozen meals for people who need or want to avoid gluten, as well as for individuals on the Paleo or Whole30 diets. The company also sells various other food items, such as sauces. Beetnik Foods uses only USDA organic, certified gluten-free ingredients. Most of its food is also certified Paleo and some meals are Whole30-compliant. The meal delivery service sources only humanely raised, hormone-free, and antibiotic-free chicken, as well as grass-fed beef. It freezes its food to avoid using preservatives or shelf stabilizers. Beetnik Foods meals mostly come in 9 oz. to 11 oz. servings. The calorie count usually ranges from 150 to 400 calories. The meals are nutritionally balanced and rich in nutrients due to the use of high-quality, organic ingredients. Beetnik Foods is not a subscription-based service. Beetnik Foods does not issue any refunds. worst frozen meal ever, organic lemon chicken with cauliflower, I know why Walmart marked it down, meal in no way resembles photograph, soupy and brown, really bad! I'm on a gluten-free diet, so I decided to try out Beethik Foods, and my overall impression is that the meals are fine, but could be better. Definitely needs more variety. The meals are ok, but the lemon chicken...omg, that has got to be one of the absolute worst things I ever tasted. I decided to leave this review here after seeing all the negative comments other people wrote. I do agree that the food could be better, but hey, it's not that bad. I ordered packs a couple of times when I felt too lazy to actually make my own food and wasn't disappointed. Dunno, maybe I'm just not as picky as the other reviewers. Beetnik Foods is a meal delivery service designed for people who love good food, and by good, we mean both healthy and tasty. It is certified organic, 100% gluten-free, and its selection of meals includes a variety of Paleo and Whole30-compliant dishes. Plus, you get to order as often or rarely as you please. Learn more in our Beetnik Foods review.